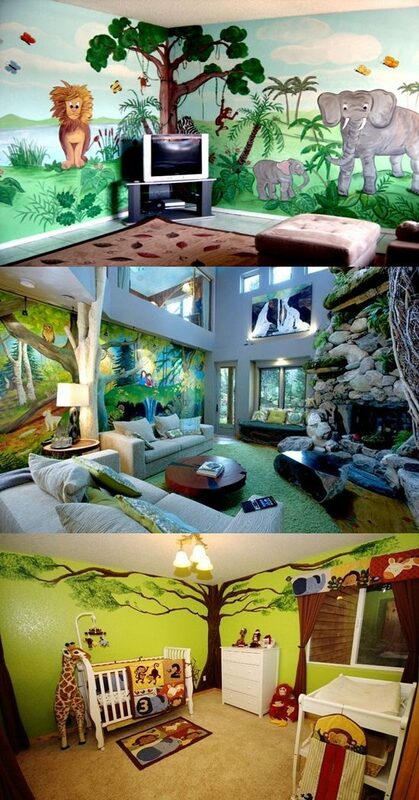 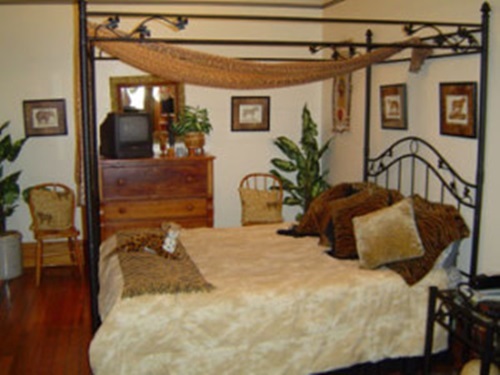 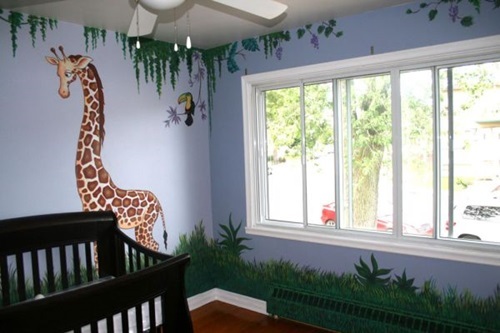 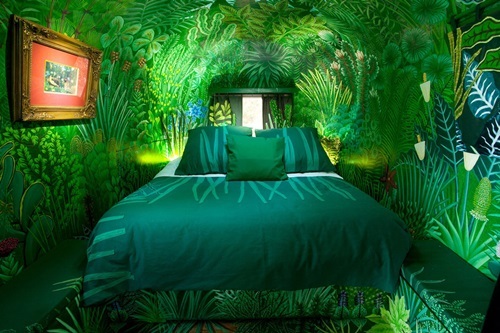 The simplest way to add life and adventurous look to any room is to decorate it with a jungle theme. 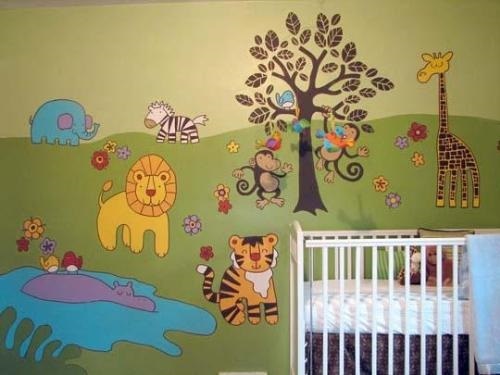 You can do this project yourself using inexpensive materials and your creativity and talents to find perfect results. 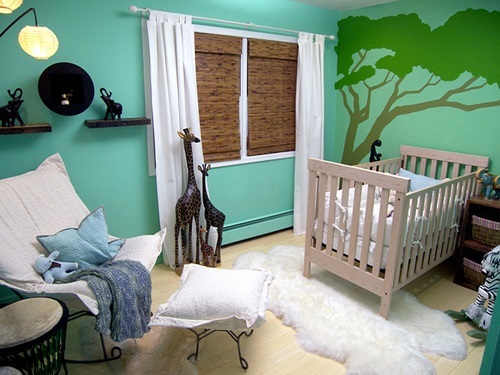 Here are a few ideas to help you achieve this project successfully. 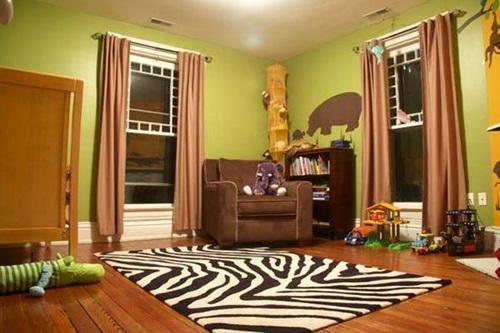 The room’s wallis the largest surface that can affect the look of the whole place. 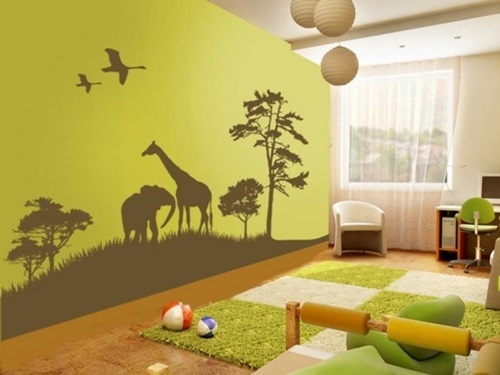 You can use one room as the focal point of the room that will apply the theme and the other wallscan be painted dark green. 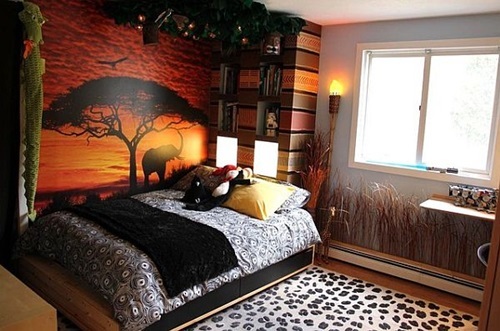 You may need to create a realistic look and apply the theme on the four walls. 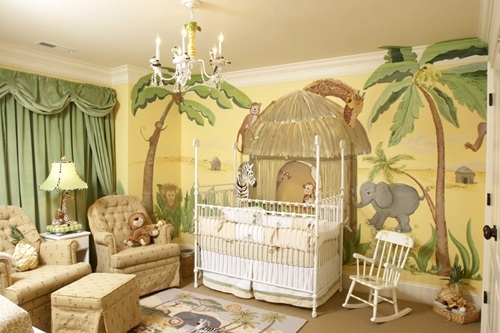 If you have artistic talents, you can your walls a green base and draw four or five banana leaves or palm trees with smaller drawings at the corners. 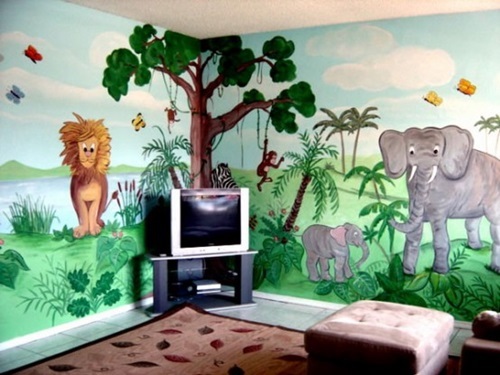 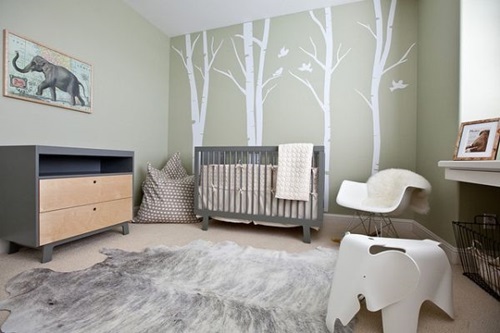 Instead, you can use adhesive or non-adhesive vinyl murals at certain parts or your whole walls to create a realistic jungle look. 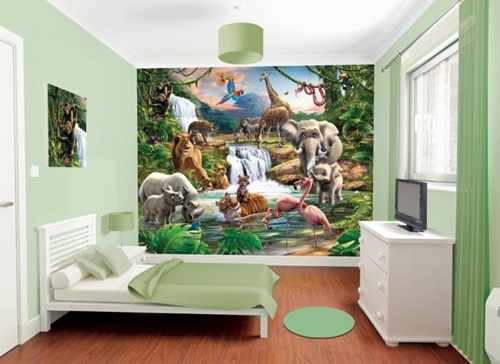 The adhesive murals have durable peel and stick designs; so, it is easy to install. 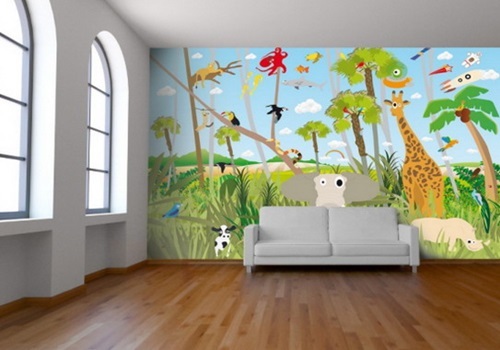 The non-adhesive vinyl murals have latex coating to protect it from the water and keep it reusable several times. 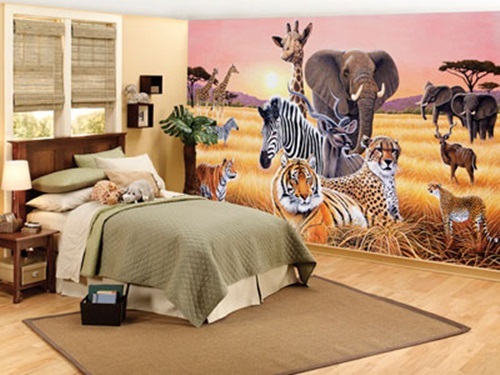 The 3D wall murals that include prints of animals and jungle plants will give the place a realistic look. 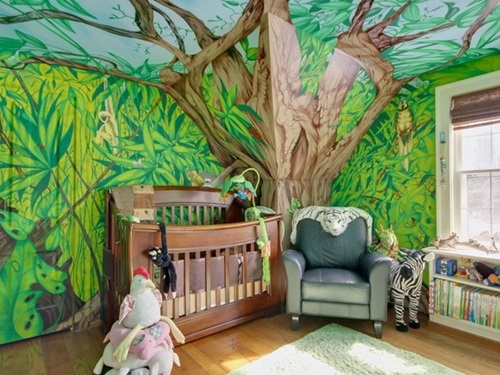 The jungle animas’ leather looking fabrics will complete the fantastic look of the room.For example, you can use zebra beddings, tiger leather sofa covers, leopard printed rugs, and cheetah printed curtains to add a new dimension to the room.The real or artificial plants will be an essential part of this room as it will connect the room’s theme with the real life. 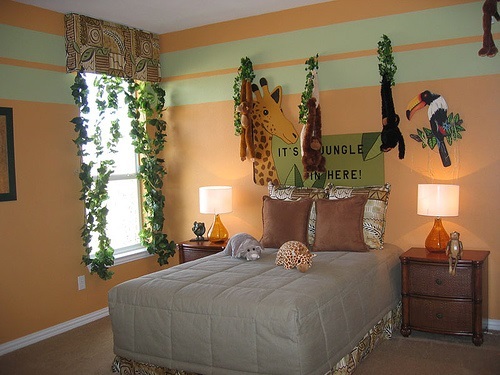 Using the perfect wall accessories, the adventurous jungle theme will be complete at any room in your home.